Have you ever noticed that some people avoid using question marks in their emails? They will say: "Can you call me to discuss." Or: "When should we meet for dinner." I think they're trying to signal power, but these linguistic bids for dominance never fill me with respect. They just get my back up. Some people do just the opposite. Not only do they use question marks, they come right out and admit uncertainty: "I could be wrong, of course. What do you think?" They use exclamation points! "Great to see you today!" They even sign off with "xo's" and smiley emoticons. This latter group seems to fall into two categories. Some appear insecure or ineffectual. But others are true standouts -- the kinds of people who inspire love and trust, who lead with an unbeatable mix of empathy and competence. I first noticed these dynamics when I worked on Wall Street, where the peremptory style of email seems especially prevalent. But was I imagining things? Apparently not. 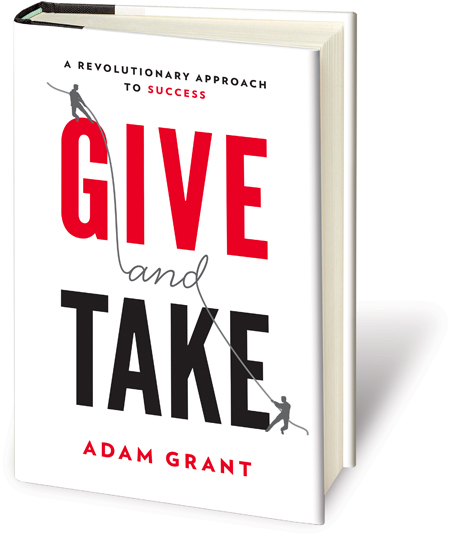 It turns out that superstar organizational psychologist Adam Grant, the youngest tenured professor at Wharton and author of the New York Times bestseller Give and Take, has been researching this question for years, and has a groundbreaking new prescription for how to relate: the power of powerless communication. (Here is Adam's fascinating TEDx talk on this very subject). Grant says that people who pose questions instead of answers, admit their shortcomings and use tentative instead of assertive speech are some of the world's most powerful communicators. People who use "powerless" communication styles fall into two categories -- some are doormats. But just as many are superstars. It boils down to this insight: When people think you're trying to influence them, they put their guard up. But when they feel you're trying to help them, or to muse your way to the right answer, or to be honest about your own imperfections, they open up to you. They hear what you have to say. In small group decision making, suggestions prefaced with qualifiers like "This might be a good way to go," have been found to be accepted more often than forthright statements like "Let's do it this way." And among salespeople, powerless communicators bring in 68% more revenue than "takers" -- in large part because they ask more and better questions and listen to the answers. Instead of coming on strong, they find out about the hopes and fears of their prospective buyers. They're motivated not only by making the sale, but by satisfying those needs. Buyers feel the difference. 1. Be humble but humorous. When the famously unassuming Lincoln was called two-faced during a debate, Grant recalls, he said: "Two-faced? If I had another face, do you think I would wear this one?" 2. Ask for help or advice. The other day, I read a Harvard Business Review article online and was asked to complete a survey. I'm a working mom, so I try to make every minute of my screen time count. I ignore surveys. But HBR must have been talking to Adam Grant. "We value your feedback!" they said. "Would you help us make our website better?" There was something in the humility of the request that made it hard to say no. 3. Pair your openness with competence. A revealing experiment led by psychologist Elliot Aronson tracked audience reactions to participants in a game show. When the high-performing contestants spilled coffee on themselves, the audience liked them more. They were competent, yet also relatable: human and imperfect. But when the mediocre performers did the same thing, people liked them less. The takeaway? If you're doing your job well, people want you to be human. It's when you're underperforming that powerless communication backfires. 4. When you communicate with someone, ask yourself three questions: What do you have to learn from them? How can you help them or otherwise express warmth? And can you find ways of letting your true personality show? 5. Frame your opinions as suggestions. "I wonder if it would work to do it this way?" Give people the space to disagree with you. 6. Be authentic. Whatever you feel inside has a way of expressing itself. 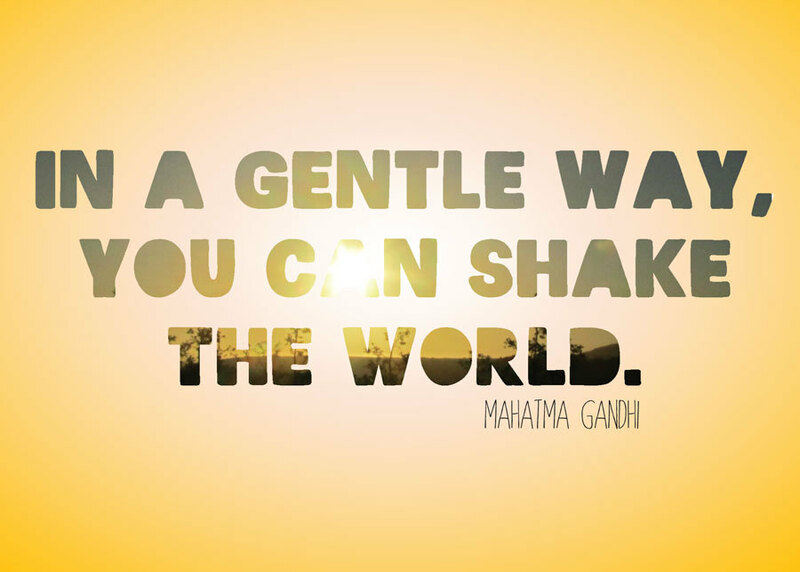 If you feel kind and open, people will know it. They'll also sense the reverse. You can't just slap Grant's approaches on to an otherwise arrogant self-presentation. 7. Introverts and women, rejoice! This research is great news for two groups in particular: women and introverts, both of whom tend naturally to use powerless communication styles and worry that this is a bad thing in a take-charge world. Based on the evidence, you can stop worrying. Do you believe in the power of powerless communication? *For insights into the powers of introverts from Susan Cain, & updates on her upcoming personal & corporate training sessions for introverts, connect here.